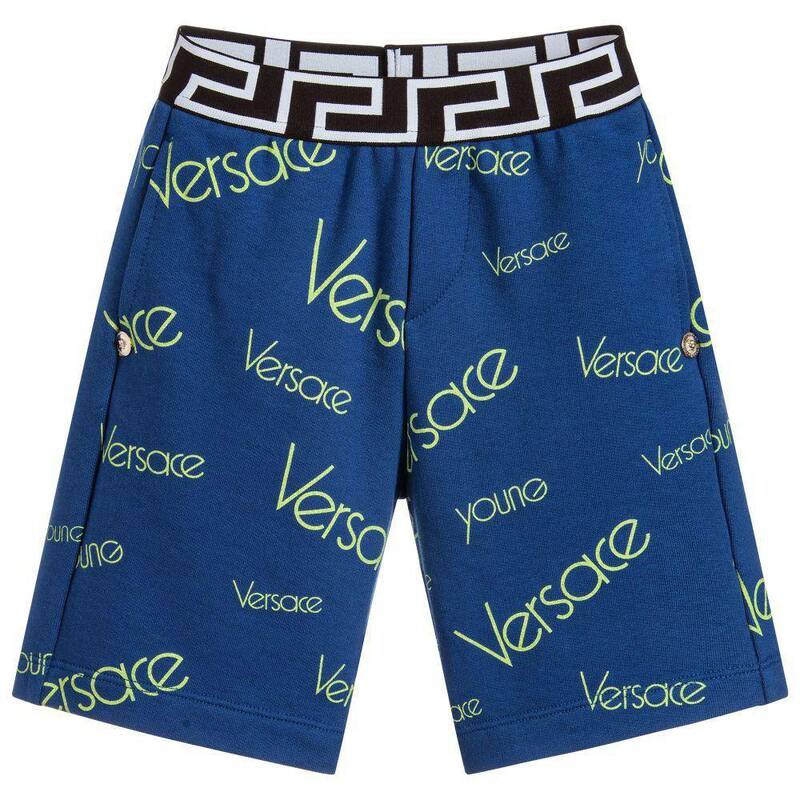 Soft and stretchy, bright blue cotton jersey shorts for boys by Young Versace. They have a yellow logo pattern with side seam pockets on the front. 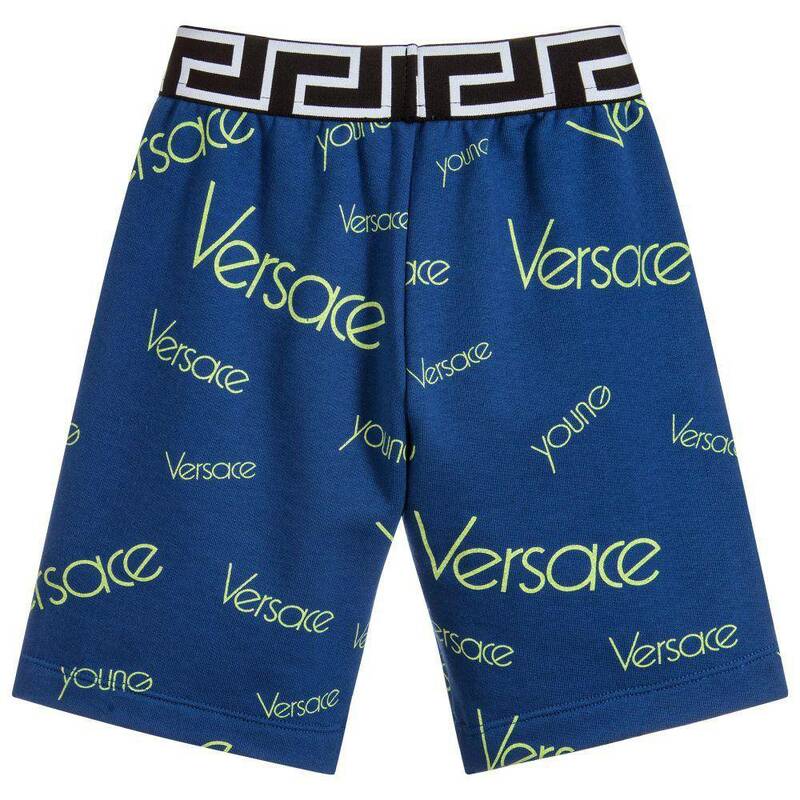 The elasticated waistband is patterned with Greek Fret in black and white.